Have you ever wondered why hosting plans cost the way they do, and, more importantly, why you agree to pay the price? Is there any similarity in the ways people make a choice when it comes to a purchase in general and the choice of a hosting in particular? Let’s see. Behavioral economics and psychology united have been long trying to understand the way consumer psyche works and to explain how irrationality affects human decisions. And there is no surprise that all the principles developed in the process of such studies have successfully made their way into every marketing department. Quite a number of things take part in the process of human decision-making. And while our rational part does what it is supposed to, the psychological factors that influence our choices;are pretty hard to be brought to reason. We are frequently very irrational and, therefore, are easy to manipulate. A purchase of a hosting is, after all, a purchase of a service – the same laws are at play here. A person in search of a hosting plan has at the very least some idea of what should be included in the package: good performance, certain amount of disk space and bandwidth, number of domains, server safety and decent maintenance, to name a few. But that’s the rational part. What a person does not actually know is how much all this costs. Or, rather, according to William Poundstone (the author of “Priceless: The Myth of Fair Value”) people only have some vague idea about prices, they are only able to consider how much it is “supposed to cost”. Special e-mail on your name (Another $5/mo – do I really need this one?..) and so on. 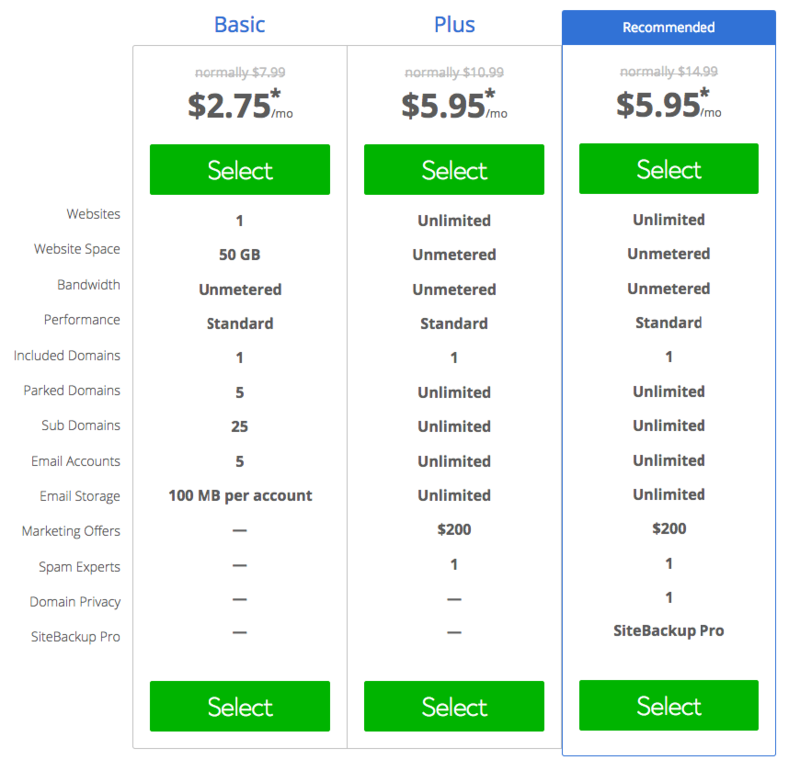 Here is a typical customer’s basket that has some extras offered with a hosting plan subscription. If you do not pay attention, you can get the longest plan just because the price is the cheapest. It is neither good nor bad; however, you might not need such long-term commitment right from the start. Next, you are offered Site Backup Pro, which is a good thing – why not? However, is there any real necessity to pay extra for something they should automatically do for you on an weekly basis, and you yourself can do manually form time to time (just in case)? Perhaps, if you are particularly lazy, go ahead, but it is not that complicated, really. Backups are your website’s life-buoy and it is definitely up to you how to make them – just don’t forget that $2.99 is optional. The same thing is with Search Engine Jumpstart. This is the name the hosting in our example uses for the package that will help you submit your site to Google and get it indexed, also it is a basic SEO package. Other hostings may have something similar on offer. In fact, it is also useless if you already have a plan of your website’s development; if not, you’d better talk to someone before jumping in, anyway. There is no need to pay $35.88/year for things that can bring more harm than good for your site. SiteLock Security might be a good idea. Security is always a good idea. So, with this offer you’ll get spam and malware monitoring as well as a vulnerability scan. And a SecureLock logo… But, really, sites end up being hacked not that often and there is no real transparency about how this particular host will make your site less vulnerable. Besides you buy a hosting that claims to be safe and secure – guaranteed – why do you need to pay even more? Think about it. When you eventually come to making a payment, you are pretty much bewildered by how you ended up being charged twice as much as you somehow planned. Yet, it is the price of a hosting that you should only consider. It presupposes a free gift given with a purchase. In case of a hosting provider, here is your free domain name. It works in every service, and hostings do not make an exception. Free domain name is a very pleasant bonus for many people who chooses a provider for the first time but hasn’t yet specifically thought about purchasing a domain. Yet again, read the fine print carefully; like many free gifts this can come with strings attached, for example, if you cancel the account, you may lose your domain, or will have to pay for it, or it is only nominally free. So, be careful. Among others, many hosting providers prefer this one to keep their customers happy. With a promise of 30-day money-back guarantee you do feel more committed; and you are less likely to cancel your account (when you know you can do it; as opposed to the option when the decision cannot be changed). However, this feature is for new customers only. And again, it is important to read the money-back terms as the refund is always much smaller than the initial price. C’est la vie. Hosting providers are aware of the power of identification, and they are not shy. 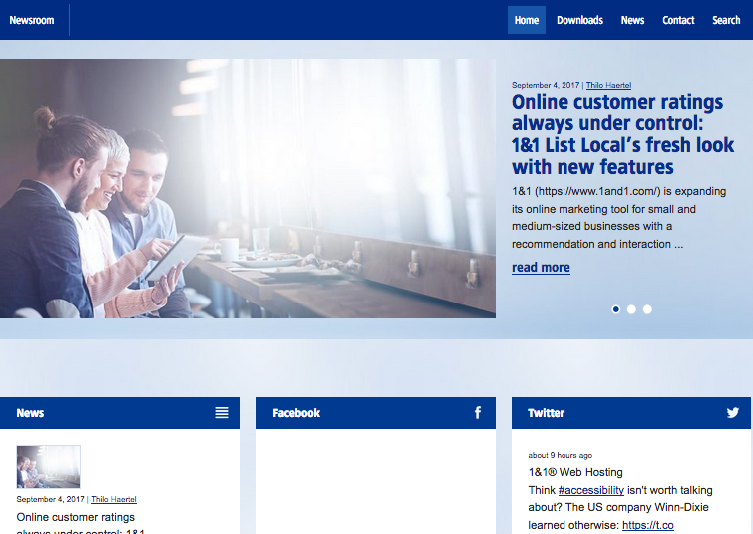 Customers won’t necessarily read “about us” page, but some of them might; and it is always better to provide as much likable and trustworthy information as possible. Companies that disclose how they work gain better trust, at least in theory. However, there is always a catch. They can write anything and sing their song very beautifully, however, looking at everything with a slightly critical eye is always good. So, don’t fall for every word at once. Hosting providers won’t forget to tell you that they are valued and do their job greatly. Many choose to share their customer testimonials on their websites to demonstrate the idea; however, given the nature of the Internet, all those odes can easily be fake. 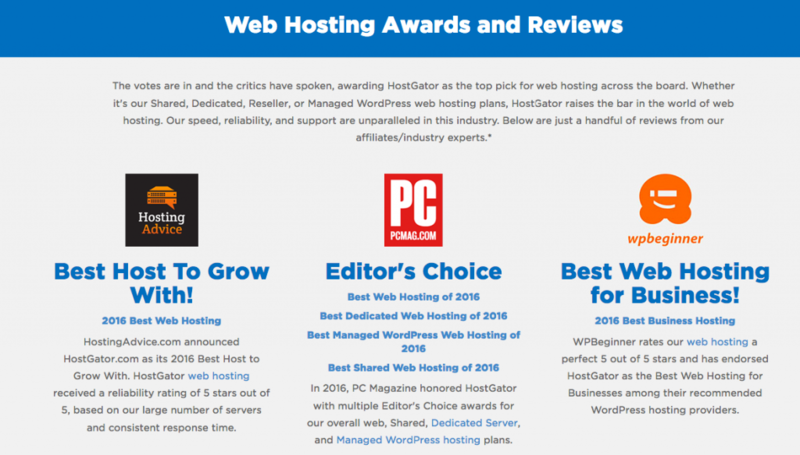 It makes better sense to check any third-party review sites, forums discussions and social network pages as well as any other places you can find to create a more or less subjective picture of a hosting under consideration. They will brag about their social presence in every possible way. Hostings are pretty imaginative when it comes to being known. Most likely, you will see their social network pages in Facebook, LinkedIn, Google+, Twitter and so on. Also, most prominent will inform you about the awards they gained and partners they have, also they will highlight the good things they do for the world (sponsorship opportunities, donations) and make sure their news feed is versatile but to the point, and up-to-date. Again, remember what we said about liking earlier. This principle is never neglected. Hostings always have some kind of promo or sale going on – you are not likely to miss this info, it is usually most brightly advertised on the main page. However, the promotional prices are effective for the first term only and are always renewed at the regular rates (which are higher). Thus, it is very important to pay attention to such things; and it is equally important to read the fine print* (which may or may not be as easily found as in the example below). Promo is great, but you might not be so happy about it in a couple of months, so, be wise. These are the basics, but other psychological triggers are broadly used, too. We are prone to paying more attention to the things that are somehow distinguished (by design or recommendation, or in any other way). 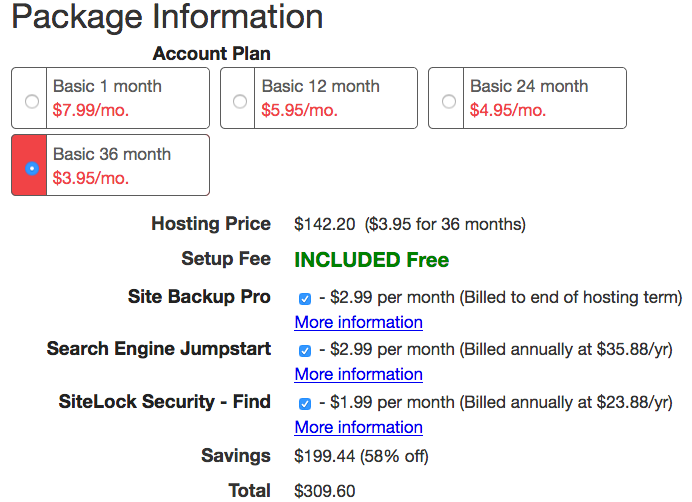 Here is a typical hosting provider price chart; the same idea is used by almost every other hosting on the Internet. 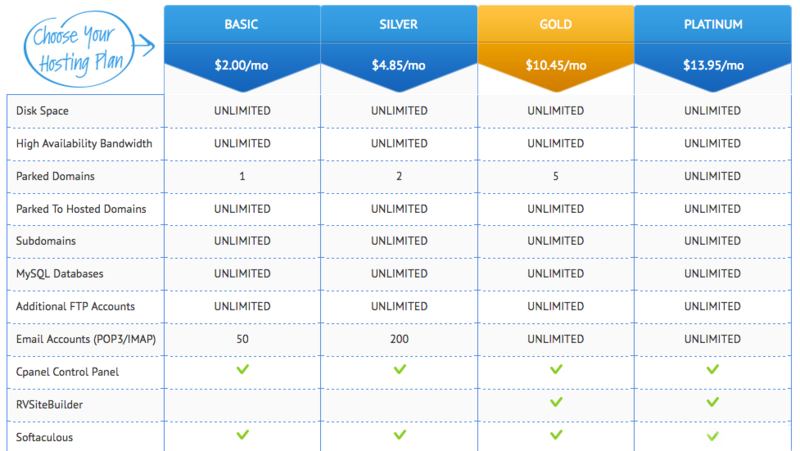 Visually, a higher price plan seems like a real bargain if compared to other subscriptions. There is a sense of a deal. And it works (you, probably, ended up with it in your basket, go and check). The effect of “useless” price (fully described here) is at play here as well. By having several options, one of which does not really make sense, customers are prone to make a choice that is more beneficial to a provider. The comparison chart is excessively simplified to make a choice easier. The simpler, the better. The fewer items compared, the more straightforward is the process of decision-making. Especially, if everything is almost identical, like here… Also, unlimited everything makes the difference easily seen and evident why you need to pay more. Everyone remembers the ads that demonstrate how time sells better – well, by offering you to install WordPress providers literally promise you to save your time and relieve you from a headache. Doubtful benefit, yet, so many fall for it. On your part, you fall for these tricks, or rather, the part of you that is responsible for the irrational choices. Here is how. Yet again, we should remember that our rationality is limited by many psychological factors. We are physically unable to make an objective evaluation of all given options and make a rational choice. Besides, we are also prone to cognitive laziness and we do not like to really think (because it takes a prodigious deal of effort.) Thus, we do not want to think about what a hosting provider offers and whether it is really worth the price. Hosting providers also exploit the fact that purchases are emotional (though, it is more evident when you buy a tour or even do a haircut, for instance.) Still, when you pay extra money for WordPress installation, you basically acquire the sense of well-being and stress-free life (you do not need to understand this WordPress thing yourself!) Recent study proves it; and even though it is hard to define emotional connection score of hosting providers (no such data has been found), the latter definitely do their best. Another thing that you get by not installing WordPress yourself is free time. Such exchange of money for time echoes the marketing principle discussed earlier; the very recent study of the University of British Columbia and Harvard Business School says that buying time makes us happier. You pay for something a bit more but gain extra minutes, say, for a coffee. Have your coffee and enjoy, we’ll do the rest! Hosting providers lure you, and you are tempted, right? And even if you get slightly remorseful about the choice of a hosting you’ve made, or about the price you’ve paid, it won’t last long. Choice supportive bias will help you quickly to come up with a couple of positive attributes in defense of the option selected. 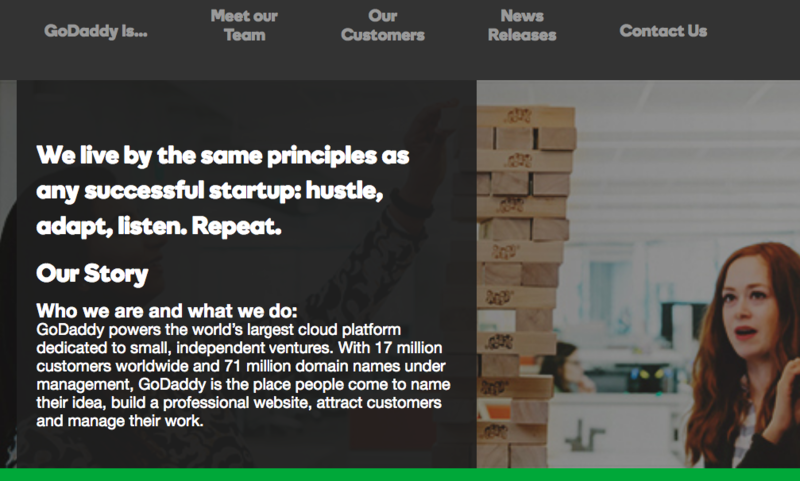 So, your Godaddy subscription might, on the afterthought, seem slightly overpriced, but you will surely comfort yourself by the fact that they can’t be so huge and popular for nothing. Right?.. Yet again, your buyer’s remorse is effectively disarmed by money back guarantee (remember?) and coupons for some future purchases. And many other things. It might be sad to realize that with all the centuries of evolution our irrational part is still dominant in out decision-making. Good news, however, is that both marketing tricks and our eager response to them can be easier identified and controlled when you are aware of them and recognize them immediately on offer. Next time you deal with a hosting plan choice, keep in mind these things and make an effort to really think before pressing “proceed to payment”. It will save you a lot of money.